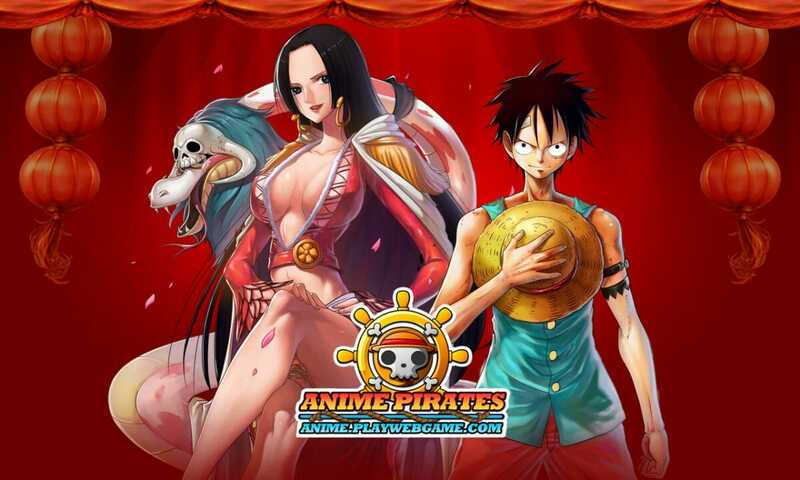 Anime Pirates is a heady and successful combination of anime style graphics, based around the popular pirates theme and a turn-based MMORPG that has been made around the hugely successful Japanese manga comic called ‘One Piece’. 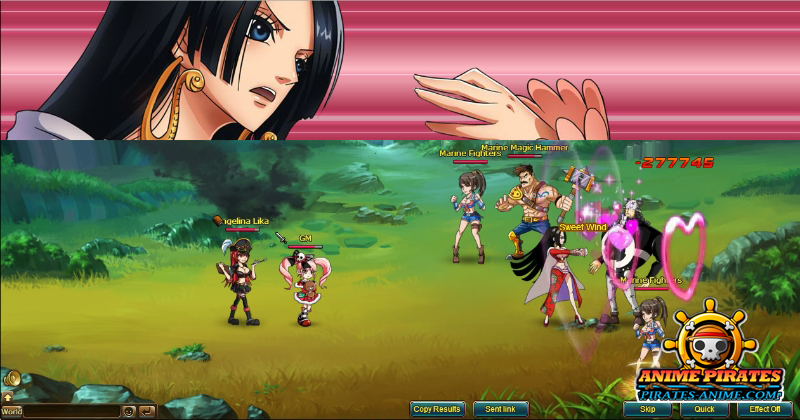 Not to be confused with the MMO that is actually called ‘One Piece’, Anime Pirates is a free to play browser game that uses a good blend of turn-based strategy and a casual and fun experience for its players. 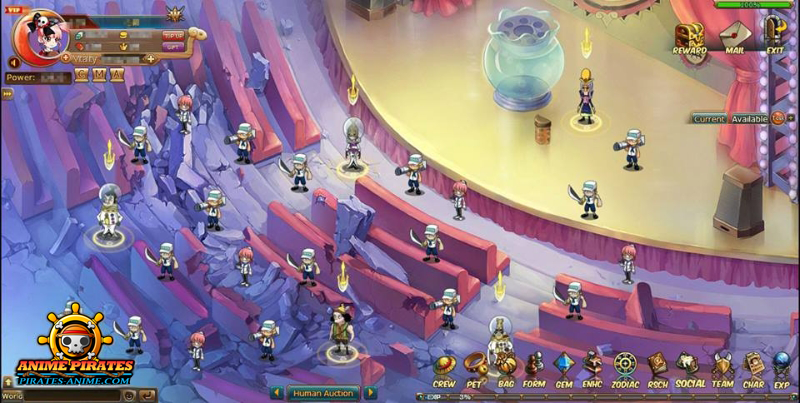 Anime Pirates faces some stiff competition in the pirate MMO genre, so does it have what it takes to compete with them? Once you load up the game and register an account, you are given a choice out of six different an interesting characters to choose from. Each of these characters will have their own specific class and will have a completely different back-story to how they got to where they are today. 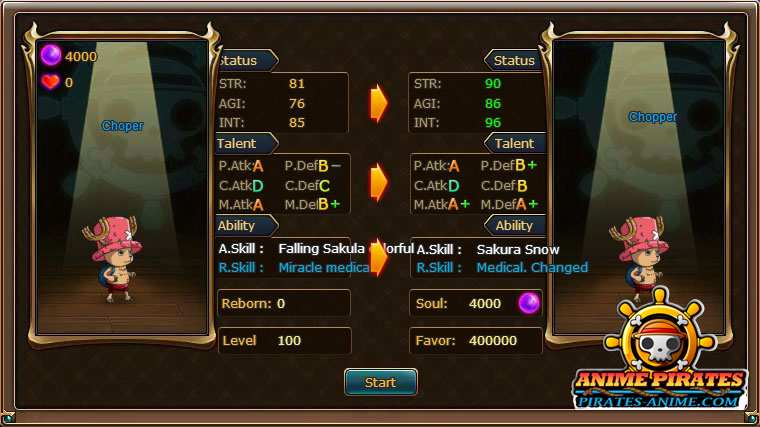 The classes are the standard type that you will see through the many other MMO’s that have been created over time, with some having strengths in either ranged, melee or a good combination of both. One pleasant factor about Anime Pirates is that each character will have their own personality which really shines through. You will also meet many other interesting characters from the One Piece comic, each of them having a major role in the storyline. Once you have your character selected, you will be shown what to do in the game through some simple quests that will teach you the basics. 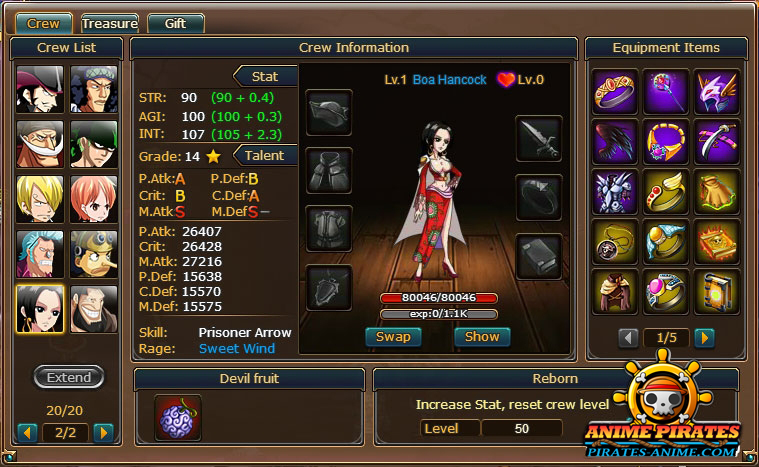 If you have played online MMORPG’s before, you will not have a problem learning how to play this Anime Pirates. There are plenty of similarities between this game and the others, which can either be seen as a good thing or bad thing. You have to handle crew training, collect the resources needed to improve the many aspects of your ship, research new technologies and generally just keep everything ticking along nicely. The bulk of the action and gameplay in Anime Pirates is of course the combat; you are playing the role of a pirate after all. You start out as a budding pirate and are striving to become an experienced and fearsome captain of a ship. This is done by fighting your way up the leadership ladder by undertaking tests and challenges against fellow pirates and even the marine army. The battles are fought via a turn based method that includes a number of different tactical options. These strategies are implemented through the ability to select each member of the crew and their positions in your chosen formation. As you win your way through the battles, the storyline advances and you are able to unlock better crew, enhance your battle formations with extra slots and generally just improve sufficiently to be able to think about taking on the next step of your journey. Overall however, the battles are fairly easy to get to grips with and the challenges are really not that difficult, so if you are after more of a test, Anime Pirates might not be for you. Graphically, Anime Pirates is beautiful and the storyline is one of interest, yet it lacks a certain edge and will eventually bore you unless you are a diehard fan of the Japanese comic One Piece. 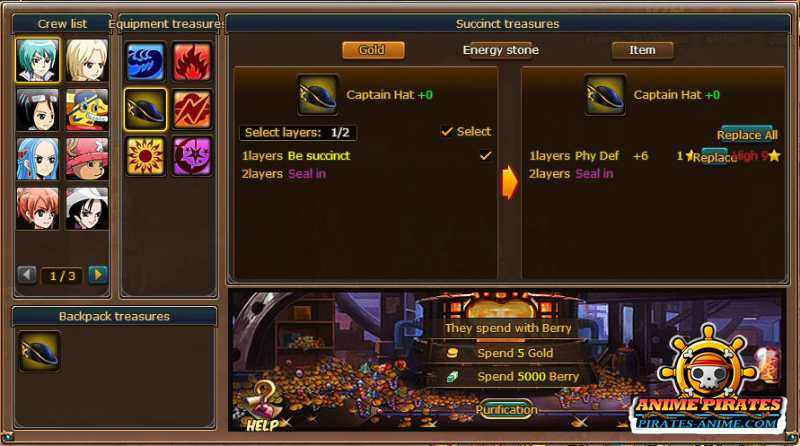 Pirate MMO’s are certainly not in short supply and whilst Anime Pirates is a fun game, there are better options out there. Pirate MMO’s are certainly not in short supply and whilst Anime Pirates is a fun game, there are better options out there.